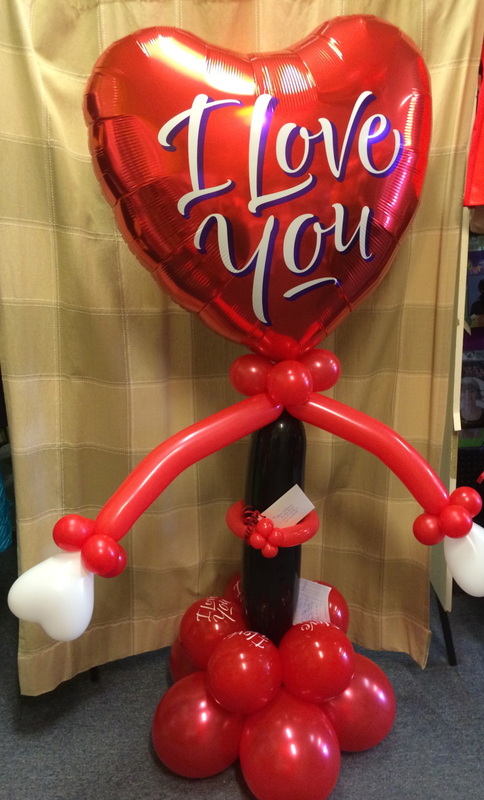 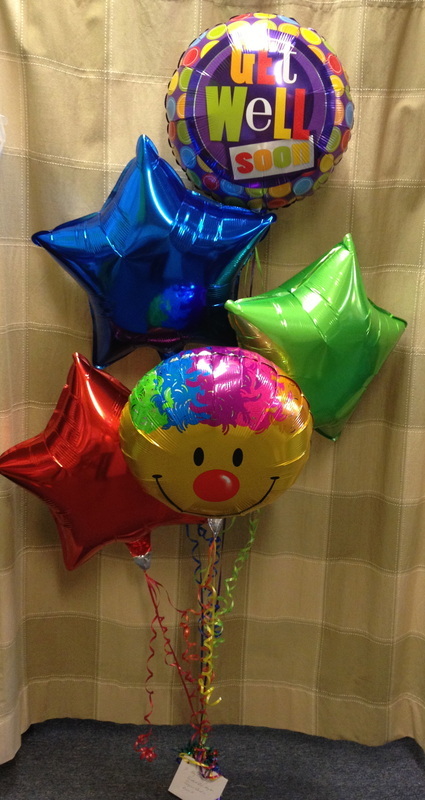 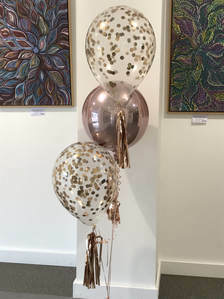 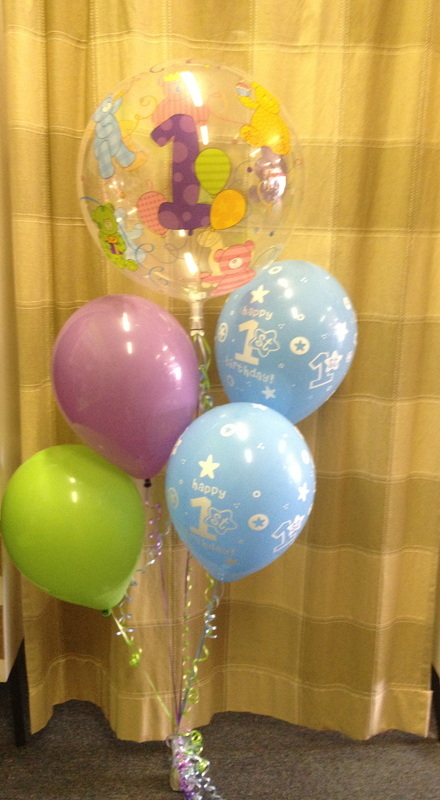 Surprise and delight someone you love with one of our beautiful balloon bouquets. 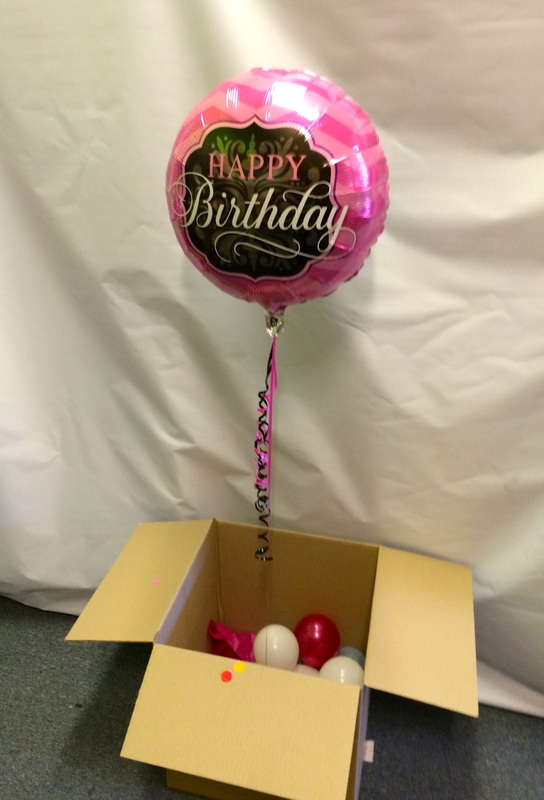 We deliver all over the Central Coast, NSW Australia Monday to Saturday. 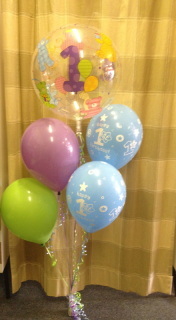 For same day delivery please have orders in by 10.30am or phone our store on 02 43 65 3698 before 10.30am. 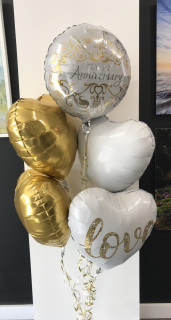 Examples of our bouquets are shown here however we can change colours and ages to suit your requirements, and we are more than happy to create individual arrangements. 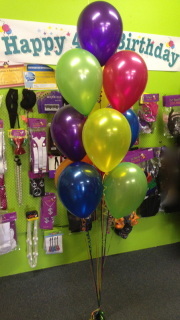 1x Helium filled hot air shaped foil balloon 6 helium filled latex balloons on Jelly Bean Weight. 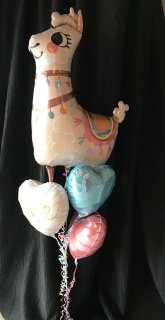 Why Not Add A Number. 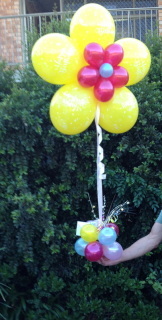 Simply Go to the Add To Your Bouquet Page. 1 x Supershape, 2 x 18in helium foil birthday balloons,6 x Helium latex balloons on weight. 2x18inch helium foil message balloons 3x 18inch helium foil shaped balloons on weight. 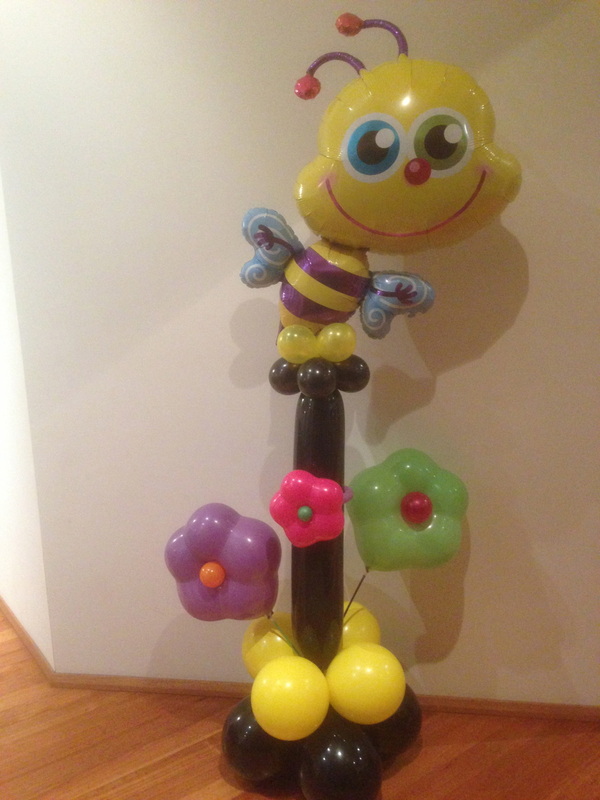 1 x Super/shape butterfly, 1 x bubble,1 x 18in foil message balloon,7 x printed latex, 3 x air-filled flowers on 11in balloon base. 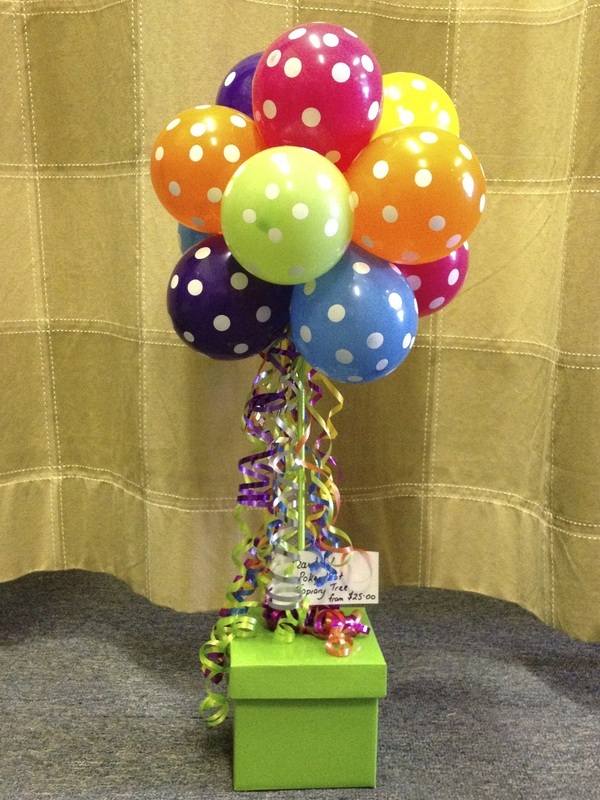 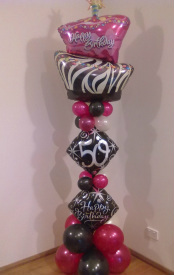 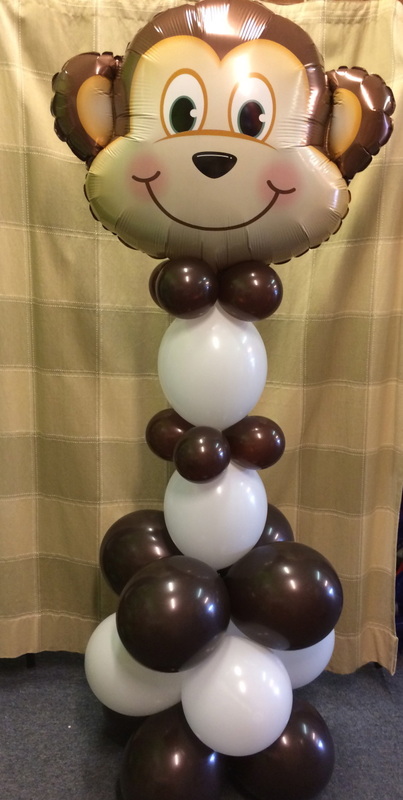 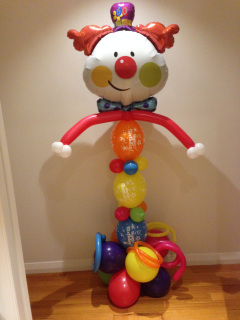 5inch latex Balloon cluster on Box weight standing 40cm Tall. 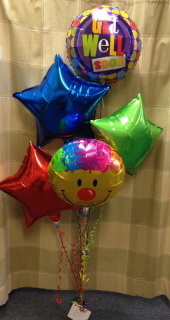 Fantastic option for Hospitals & Nursing Homes.